Sir Paul has wide international experience in the commercial, public, political and not-for-profit sectors. 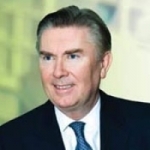 He is the Chairman of Schroder Income Growth Fund plc and a Director of ENRC plc, of the United Kingdom Accreditation Service, of Standard Bank Group Ltd of Johannesburg, of Tempur-Pedic International Inc of Kentucky and of Abraaj Capital of Dubai. His honorary offices include being an Alderman of the City of London, the President of the Chartered Institute of Marketing and of the Association of MBAs, the Chairman of the British-North American Committee, of the North American Advisory Council at the Royal Institute of International Affairs at Chatham House, of the Enterprise Education Trust, of the Museum of Brands and of St Dunstan’s College and Deputy Chairman of the American Management Association based in New York. He is a Member of the Advisory Boards for the UK-India Business Council, for HEC in Paris and for the Athens University of Economics and Business and a Member of the Council of the Crown Agents. He has honorary degrees from Cambridge, Westminster and City universities. Following his education at Cambridge University and at the Wharton Business School, Sir Paul worked for Cadbury Schweppes and then led the buyout of their food interests to form Premier Brands which was successfully sold in 1989. He was subsequently Chairman of Food from Britain, Director General of the Conservative Party and a Ministerial Adviser at the Cabinet Office. He has more recently been Chairman of the Royal Society of Arts (2003-6), President of the Chartered Management Institute (2004-5), Master of the Worshipful Company of Marketors (2005-6), Chairman of Teachers TV (2005-8) and a Member of the Higher Education Funding Council for England (2008-2010). He was the key benefactor of the Judge Business School at the University of Cambridge.